The Department of Homeland Security and FEMA had interjected themselves, and appropriately so, into the area of school safety. This article explores the premise behind the cooperation between DHS, FEMA and your child’s public school. Most of the policies and procedures make a great deal of sense and should be followed as a matter of course. However there are some very concerning elements which have surfaced with regard to school safety procedures, your rights as a parent and the safety of your child. The first mandate for teachers and administrators in the public school setting is to keep students safe. This prime directive supersedes any other mission requirements related to the functioning of a public school. Teachers and administrators as well as support personnel have a moral, professional and legal obligation to tend to children who are in physical and/or emotional distress. The Department of Homeland Security and FEMA have prepared disaster related documents detailing the professional responsibilities for school personnel in disaster related scenarios. Increasingly, these programs are taking on a police state mentality and parental authority be damned. Whether you know it or not, your child is being subjected to an endless stream of “terror drills”. The granddaddy of these drills occurred a little over 3 years ago, on September 23, 2011, the Department of Homeland Security and FEMA conducted a disaster drill in Denver, Colorado that they called Operation Mountain Guardian. The plan was all-inclusive and basically shut down the Denver metropolitan area including Denver international Airport, many malls, many schools and several other public venues including Sports Authority Field where the Denver Broncos play professional football. Where will they take the children? Will you get them back and when? As a part of the drill, several bus loads of school children were taken to Sports Authority Field along with their teachers. Surrogate parents were hired by FEMA to attempt to pick up their children at the stadium. The training was apparently a desensitization exercise for security personnel designed to refuse demands to pick up their children from these “pretend” parents. 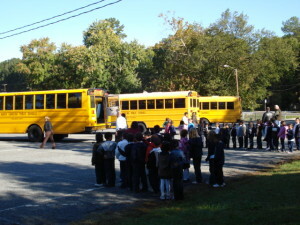 The real parents of these children were not properly notified that their children would be transported to the stadium and would be a part of this disaster drill. As a parent, I would have a major problem with the non-notification of the relocation of children. I find this ironic, because before a school child is allowed to go on a field trip, their parents and teachers are required to fill out a multiple list of permission forms that must be signed by parent or guardian of the child. As a parent, I have a major issue when government officials refused to release children to their parents because the authority over a child belongs to the parent, not to a government agency. In the latter part of the event, as parents discovered that some of their children were likely transported to the stadium, some parents attempted to go to the venue and secure their children. When they did so, at least initially, the children were not released to the parents. Again, who is the sovereign, the government or the people? Maybe this picture located near baggage claim at Denver International Airport will make a little more sense after reading this article. 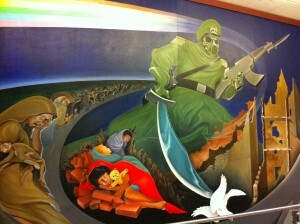 And speaking of Denver International Airport, explain the meaning of this depiction which was displayed for years near airport baggage. Where are the children being led by this apparent Russian soldier carrying an AK-47 and wearing a gas mask? If the Operation Mountain Guardian drill was an isolated incident, perhaps the sounding of the alarm bells would be a gross over exaggeration. Unfortunately, this is not the case, these kids of drills are popping up all around the country and the overtones which accompany these drills are very disturbing. 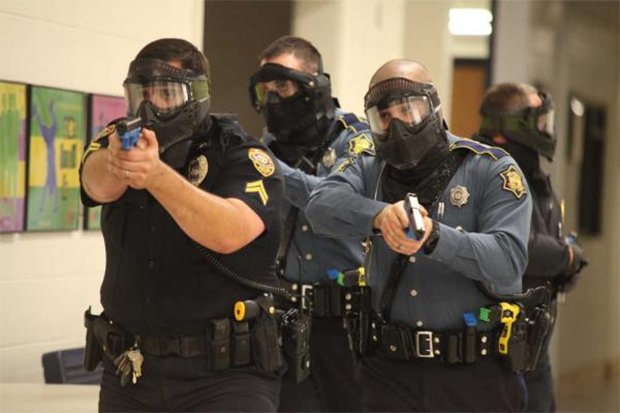 In school lockdown terrorist drill in New Jersey, students were told that the gunmen were from a group of “fundamentalist Christians” called “The New Crusaders“. Why does Lois Lerner, the head of the IRS, and Hillary Clinton need an e-mail address while using a fake identity? The only answer that makes any sense is that they are both involved in criminal activities that they need to “keep off of the books”. Secondly, the fact that the attempted concealment of the Lerner and Clinton emails was being handled in the sam manner is not a coincidence. 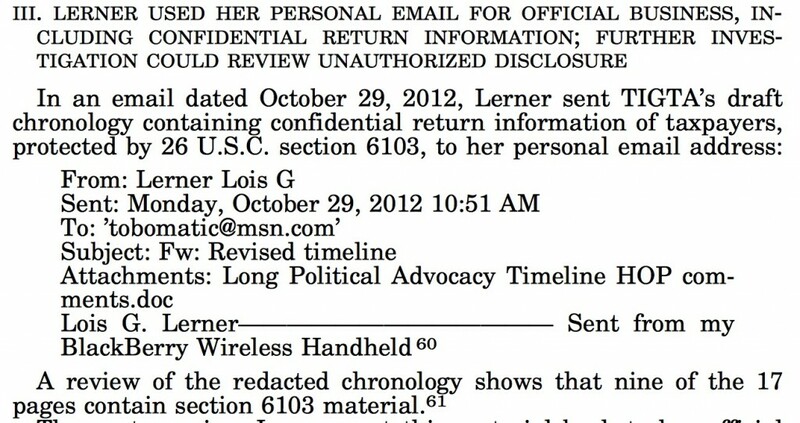 Whoever, created the attempted cover for Lerner, also created the identical strategy for Clinton. This means that Clinton and Lerner’s criminal behaviors are linked. Please visit this link from Mr. Shoebat’s article which shows to images which clearly proves the IRS Director, Lois Lerner, has used an alias when dealing with classified as well as engaging in illegal activities (e.g. 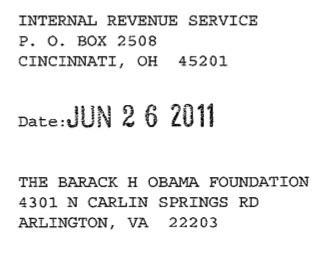 Tea Party harassment) and Lerner’s signature is at the bottom of an United States tax exempt foundation request for terrorist Malick Obama, the President’s half brother, who is in charge of finance and arms procurement for the Muslim Brotherhood. Mr. Shoebat is to be congratulated for a stellar piece of investigative journalism. Mr. Shoebat’s work fits hand in glove with what I have been reporting for the past two years and in the following paragraphs, I will demonstration one degree of separation contact between the Obama administration, Muslim Brotherhood terrorists and their joint intention to destroy the Constitution and the integrity of the United States government. “Lerner headed the IRS division that processed applications for tax-exempt status. The IRS acknowledged last year that agents had improperly scrutinized applications for tax-exempt status by Tea Party and other conservative groups”. Isn’t it ironic that Lerner harasses American citizens (i.e. Tea Party organizations) operating within Constitutional boundaries, while giving aid and comfort to the enemy, Malik Obama? The President and his half-brother, Malik Obama. It is clear, that while operating as an Obama senior official, Lois Lerner is aiding and abetting our terrorist enemies (e.g. Malik Obama). It is also clear that Clinton and Lerner are obfuscating the truth by illegally using private emails to conduct classified and top secret government business. This violates several provisions of our laws related to treason. And the mere fact that an alias is being used is speaks to an intent to obstruct justice and this is precisely what brought down the Nixon administration. We need no more information than we already possess to indict Hillary Clinton and Lois Lerner. There is no question that this scandal would end up in the Oval Office. However, there is a deeper aspect to this story which is extremely disturbing! Informed Americans were stunned when they learned of the presence of an ISIS camp eight miles from El Paso, TX. Judicial Watch connected ISIS to the Mexican drug cartels. As I previously reported, Hamas and Hezbollah are connected to the cartels. 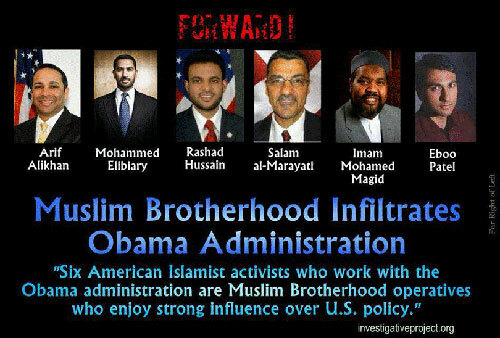 We have now seen evidence that the Obama administration is deeply connected to the Muslim Brotherhood and more proof, to this fact, will be offered near the end of this article. 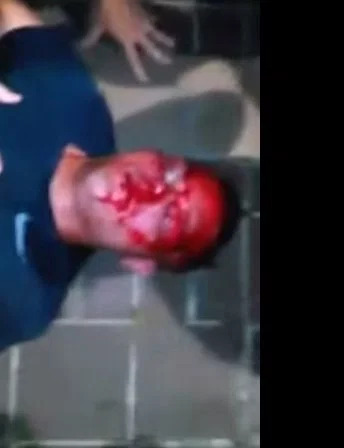 Back in 2010, an internal memo was leaked from the Tucson Police Department. which stated that Islamic terrorist groups are commencing operations in Mexico and forming alarming ties with the country’s brutal drug cartels. In turn, the drug cartels are now associated with Hezbollah and ultimately their partner, Hamas. The memo also references a large weapons stockpile in Mexico as evidenced by the 2010 Tijuana arrest of Hezbollah militant Jameel Nasr, who was given the job of establishing a well-armed Hezbollah network in Mexico and South America. Nasr was apparently bringing this terror network north when he was captured. The memo also discussed the April 2009 arrest of Jamal Yousef in New York, which exposed a huge cache of assault rifles, hand grenades, explosives and anti-tank munitions. According to the report, the weapons were stored in Mexico, but only after being smuggled from Iraq by members of Hezbollah. As a temporary aside, where do you think ISIS is getting its weapons? The preceding references contained in the Tucson Police memo just answered that question. The memo further warns that there could be dire consequences due to the new level of cooperation between Hezbollah and Mexico’s drug partnerships and this could be disastrous given Hezbollah’s advanced and new weapons capabilities. The report goes on to state that some Mexican criminal organizations have started using small IEDs which is clearly illustrative of the use of car bombs which is a hallmark trait of Islamic terrorists. IED’s are clearly the least of our worries with regard to the increased influx of MS-13 terrorists. For the past eight plus years, the United States government has acknowledged the fact that Hamas and Hezbollah have strong ties to the Mexican drug cartels. We also know that Hamas, Hezbollah, al-Qaeda and the Muslim Brotherhood have partnered with the CIA in the formation of ISIS. Click this link to listen to former Special Operations Officer, Scott Bennett, establish that the CIA formed and is funding ISIS, with help. In May 1991, The Muslim Brotherhood produced an “Explanatory Memorandum on the General Strategic Goal for the Group in North America.” This document was written by Mohamed Akram Adlouni, a member not only of MB’s governing Shura Council, but also of its Planning Committee, its “Special Committee,” its Curriculum Committee, its Palestine Committee (which provided “media, money and men” to Hamas), and its QZT Committee (a high-level entity identified only by its initials). On the continent, this document outlined a “Civilization-Jihadist Process” for achieving that objective. It stated that Muslims “must understand that their work in America is a kind of grand Jihad in eliminating and destroying the Western civilization from within and ‘sabotaging’ its miserable house by their hands … so that … God’s religion [Islam] is made victorious over all other religions.” Through stealth jihad, the Brotherhood would seek to impose Islamic values and customs on the West in piecemeal fashion — gradually, incrementally gaining ever-greater influence over the culture. The memorandum listed some 29 like-minded “organizations of our friends” which sought to realize the same goal”. In January 2010, Muhammad Badi [a.k.a. Muhammad Badie] was named as (the) Muslim Brotherhood’s new Supreme Guide. 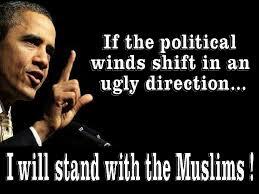 Badi has described the U.S. as an infidel nation that “does not champion moral and human values and cannot lead humanity.” He has characterized America and Israel as “the Muslim’s real enemies,” asserting that “[w]aging jihad against both of these infidels is a commandment of Allah that cannot be disregarded.” And he maintains that the “change that the [Muslim] nation seeks can only be attained through jihad and sacrifice and by raising a jihadi generation that pursues death just as the enemies pursue life. 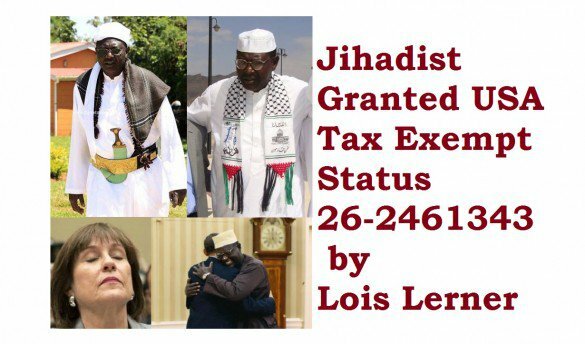 A senior Obama appointee, Lois Lerner the IRS Director, has been implicated in providing material support to a known and major MUSLIM BROTHERHOOD terrorist figure, Malik Obama. Malik Obama, the President’s half brother, has been granted undeniable special privilege under U.S. law and in granting that privilege, Lerner even used an alias and a private email server, initially, to complete the act. In other words, she knew what she was doing was treason and she was attempting to cover it up. Again, the plot worsens. In light of these revealed facts, ask yourself why persecuted Christians from the Middle East cannot gain entry into the United States. However, anyone else (e.g. Muslims from Syria, Somalia, etc.) are not even screened as they are granted access to the United States by the thousands at a time in the Refugee Resettlement Program. Once again, it only gets worse. The embarrassed and disgraced wife of deposed Congressman, Anthony Weiner, Huma Abedin, has undeniable family ties to the Muslim Brotherhood. In an interview with Front Page Mag, anti-Islamist activist and author Walid Shoebat explained that Huma’s mother, Saleha Abedin, is and was deeply involved with the Muslim Brotherhood and that Huma’s brother, Hassan, is on the board of the Oxford Centre For Islamic Studies (OCIS) where he is a fellow and partners with other board members including “Al-Qaeda associate, Omar Naseef and the notorious Muslim Brotherhood leader Sheikh Youssef Qaradawi; both have been listed as OCIS Trustees.” Has the FBI stopped vetting Federal governmental employees in highly sensitive positions? Now serving as a distinguished, visiting professor at the National Defense University. Alikhan, an openly devout Sunni Muslim, has openly participated in a Muslim Public Affairs Council fundraiser titled “Be the Change,” in order to support that organization’s leadership-development programs which openly advocates for the Sharia Law takeover of the United States. The open support for this Sharia Law intention to overthrow the U.S. government, on the part of an American citizen, is illegal. When such an advocate is a Federal employee in a sensitive position this person should disqualify one from holding sensitive positions within the government. If you were on the FBI team vetting Presidential appointees, would you grant your seal of approval to the grandson of the Muslim Brotherhood’s founder, Siraj Wahhaj, who was named as a co-conspirator in the 1993 World Trade Center bombing and who has defended the convicted WTC bombers. Well, somebody thought Eboo Patel, the man in question would make a splendid member of Obama’s Advisory Council on Faith-Based Neighborhood Partnerships. Additionally, Patel, himself, spoke at a Muslim Students Association and ISNA Convention, while appearing on a panel, and also being partnered with Tariq Ramadan. Ramadan is the grandson of Siraj Wahhaj, who was named as a possible co-conspirator in the 1993 World Trade Center bombing and has defended the convicted WTC bombers. Wahhaj allegedly advocates for the Islamic takeover of America under the banner of Sharia Law. 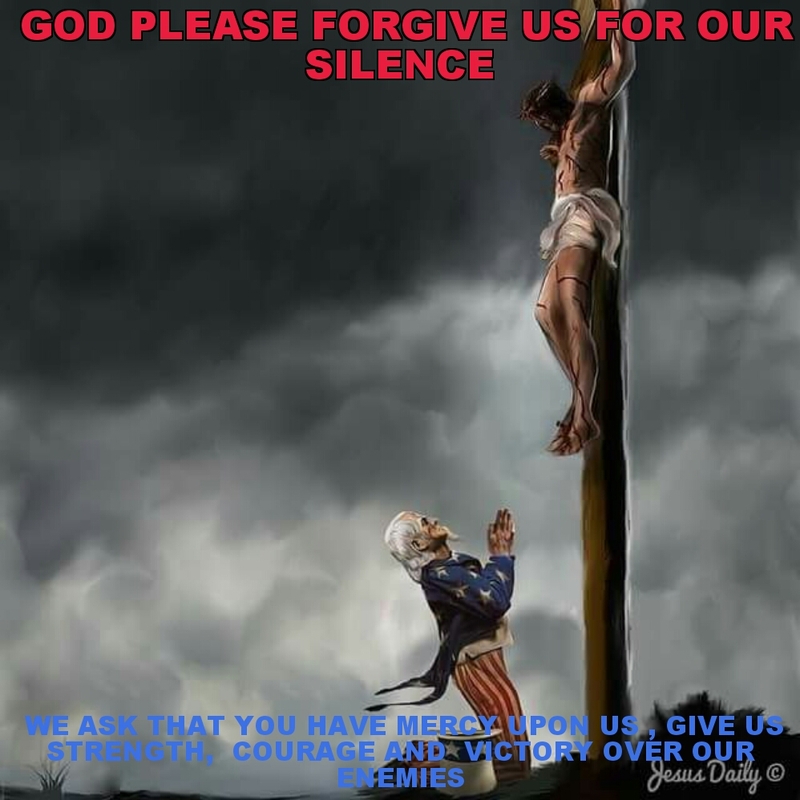 Our silence allowed evil to prevail. Not since the Cuban Missile Crisis has the world been this close to World War III. The events are leading the superpowers to put their military assets in close proximity to each other. All that is needed is a spark. Willl Assad of Syria become the modern day Arch Duke? The chain of events are well known: China launches a sell off of it currency causing the dollar to lose value. Four chemical plants in China have been destroyed since that move. In a show of force, Chinese naval ships entered U.S. territorial waters off of Alaska last week, coming within 12 miles of the coastline, stated multiple defense officials. China has also sailed significant naval assets into the Bay of Bengal in order intimidate India to remain within the sphere of influence of the BRICS of which China is one of two leaders along with Russia. According to the sources of The Common Sense Show, Russian troops are competing their preparations to arrive in Syria in an attempt to take on the CIA, in which everyone in the know realizes is sponsored by the CIA. According to former Special Operations Forces officer , Scott Bennett, the CIA created ISIS to allow Obama an excuse to boots on the ground in Syria. The plan is working and this is why the Russians are heading Obama off at the pass. 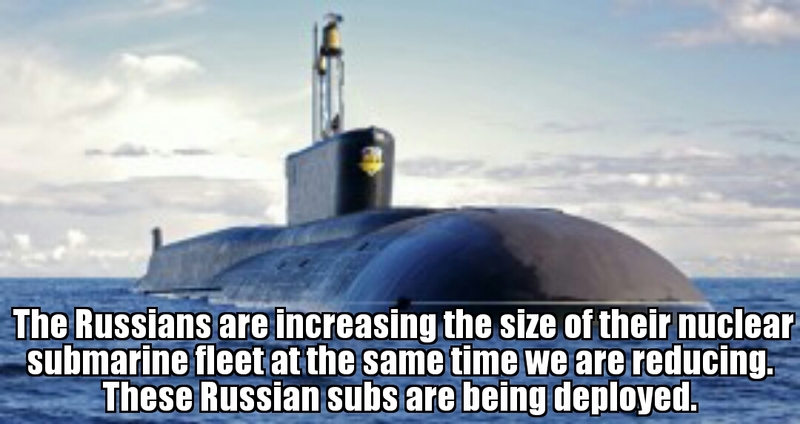 Russia will soon have the first super power with boots on the ground in Syria. In the past few days,ISIS forces in the Qadam district of southern Damascus, captured parts of this Syrian district. ISIS is too close to Assad for comfort and as such, the Russians are acting. ALL of my sources feel strongly that this is a likely flash point for the start of World War III. The crisis in Syria has been a long time coming. It was three years ago, that Obama thought he was going to move into Syria and perpetrating a false flag attack on the rebels using a chemical agent. The world called out Obama and he was forced to use the CIA to create ISIS and make it into the force that it is today. The ISIS beheadings and soon to be terrorism on American soil, are excuses to get the American public to go along with the attacks. As if it could not get any worse, Russia is mobilizing with its best weaponry around Syria. Russia is bleeding the Petrodollar dry by leading the BRIC nations in the purchase of Iranian oil for gold. The same situation is emerging in Europe as Russia is on the verge, either by invasion or by proxy control of Ukraine, of controlling a good portion of energy needs to Europe and being able to bypass the Petrodollar as a means of payment for Russian energy shipments into Europe. Further, Russia has just completed a deal which brings China into the Russian energy sphere of influence. This will eventually culminate in the weakening of NATO and the isolation of the United States both economically and militarily. What does Russia want and what will be its eventual goal? Some believe that Russia wants to occupy the United States and perhaps Putin eventually does, but it is not practical at this particular point of time. Economic attrition and military isolation are Putin’s best friends at this time. After all, the US is in possession of over 2,000 nuclear weapons and 72 nuclear armed submarines which are virtually undetectable. Despite the presence of these American deterrents, do not be lulled into a false sense of security, this cold war will soon turn hot. 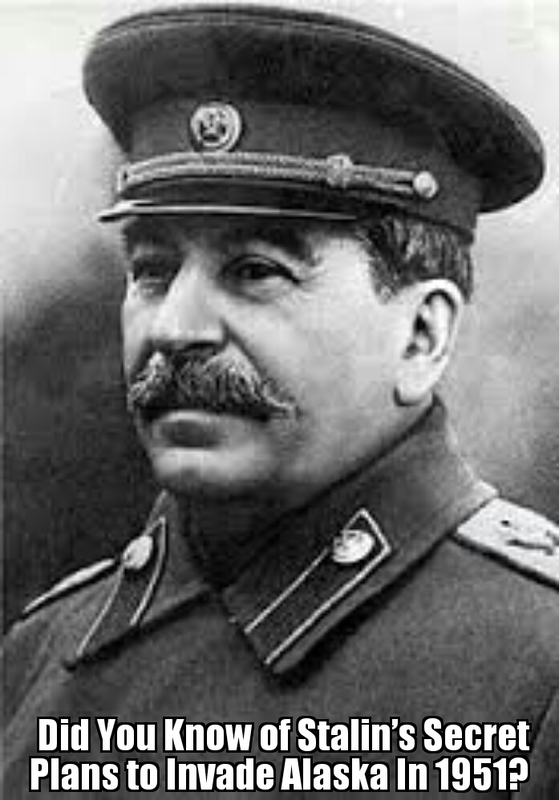 The unfolding Russia military strategy is following the Russian leaders from the past. 2. Russia is moving to further advance the use of the ports at Aleppo and Tartus to facilitate its sea trade. 3. Fortifying Syria provides protection for Iran who is undermining the Petrodollar by selling its oil for gold. This allows Putin to be engaged in an economic war against the dollar and the Federal Reserve. 4. Syria is a military satellite of Russia as Assad continues to buy a high quantity of Russian military exports, which aids the Russian economy. And of course, no Russian military option can be considered when it comes to ISIS rampaging across Iraq and Syria. Make no mistake about it, ISIS is a CIA creation fueled by illegally leaving behind American military equipment in Iraq designed for ISIS use. ISIS mission is twofold. The first goal is to unseat Assad in Syria. But the primary goal is for the West to draw Putin into a military conflict starting in Syria in order to topple Syria and Iran and preserve the Petrodollar. 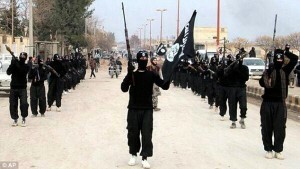 In effect, ISIS is Blackwater (i.e. Academia). And the ISIS beheadings is a psyops designed to inflame the American public into accepting the coming World War III. Control of Ukraine and its gas shipments through the country are the key to swinging the balance of power on the planet. If Ukraine comes under the complete control of the Russians, energy blackmail and the eventual disintegration of NATO will occur. If Russia moves to take over Ukraine, what options does the United States have? It is not likely that at this point in time that NATO has the ability to keep Russia out of Ukraine in the long term without the use of nuclear weapons. Where is Russia most vulnerable? The clear answer is in Syria. Syria has both economic and military significance to Russia. If Syria were to fall to the United States, the military and economic loss would be catastrophic, not the least, would be the loss of Syrian ports. Russia’s prudent course of action would be to continue to erode the US economy by its relentless attacks upon the Federal Reserve and the Petrodollar. However I do not foresee the Federal Reserve banksters are going to continue to let this happen as the dollar erodes. Subsequently, when Ukraine falls, Syria and probably Iran will be attacked by the United States. The provocation will likely be a false flag event within the United States in which the Syrians are falsely implicated. Why do you think Obama is bringing so many Syrians into the United States? Remember the Heartland Theory, it also predict the second front of the coming World War III. Along these lines, Putin will also attack Alaska if the United States attacks Syria. This is how a cold war can turn hot in a hurry. If you do not believe me, just ask the Polish as they have begun mobilizing for war. DHS has continually been practicing for an American martial law. Ask yourself, what do these people know that you do not? Again, I want to caution people to stock up on supplies. If a false flag event does occur, your ability to resupply could be seriously imperiled. Our military high command believes that World War III will begin in Syria as well when Russia comes to the aid of Assad as his forces are toppled. The United States have diverted no significant military assets from the Middle East since the Ukraine crisis began. Do not take your eyes off of Syria. I can hardly wait for the trolls and the thinly veiled Russian media to attack once again. I am over the target and expect to get more flak from the Russian media. And yes, Russian media, I will come on your shows and the result will be the same as when I appeared on the Voice of Russia in October of 2013. 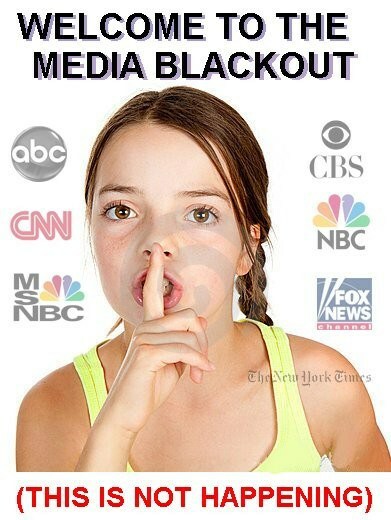 The truth was told about Russian troops training on American soil, a fact that the Russian media wanted to be obscured.